The combination apple, walnut and orange is a match made in heaven, mix that with leaves and ginger and you have the perfect salad. You can have as a started or a light meal, whichever way, this is one recipe you simply should try. 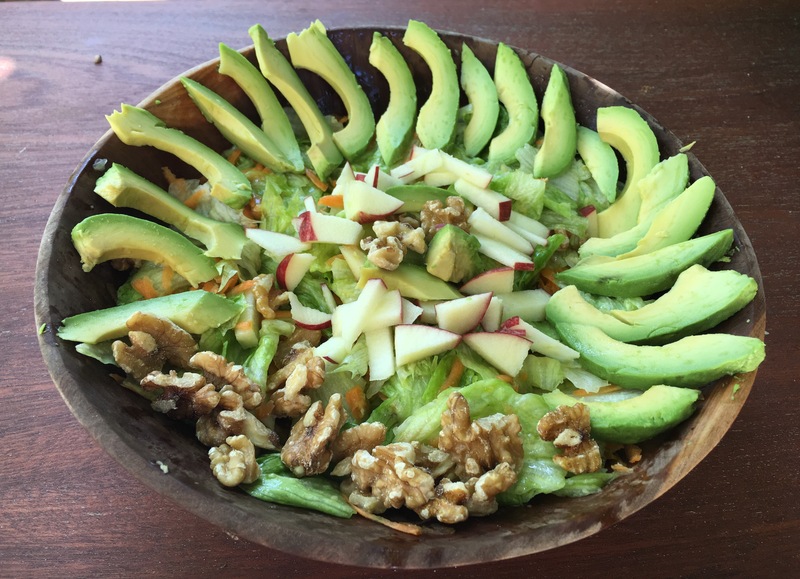 Assemble the walnut, apple and avocado on top and serve.